Former police commissioner-general Augustine Chihuri whose world is collapsing around him, reportedly sought and found refuge at his wife's family home in Malawi where he is said to be nursing an undisclosed ailment, the Daily News on Sunday reported. Once ousted president Robert Mugabe's police enforcer for 23 years before he was succeeded by Godwin Matanga a few weeks after his downfall last November, the former Zimbabwe Republic Police (ZRP) boss faces a series of court challenges back home. He is also being hunted by his former subordinates at the ZRP who want him to testify before a menacing Mines and Energy portfolio committee, which is enquiring into missing diamond revenue estimated to be in the region of $15 billion. It is still not clear whether Chihuri, whose nom de guerre during the war of liberation was Comrade Stephen Chocha, has now turned into a fugitive from justice or is on the run. But such is the irony of the November 2017 military intervention that forced Mugabe out of power, which has brought his once high-flying lieutenants crushing down to earth. 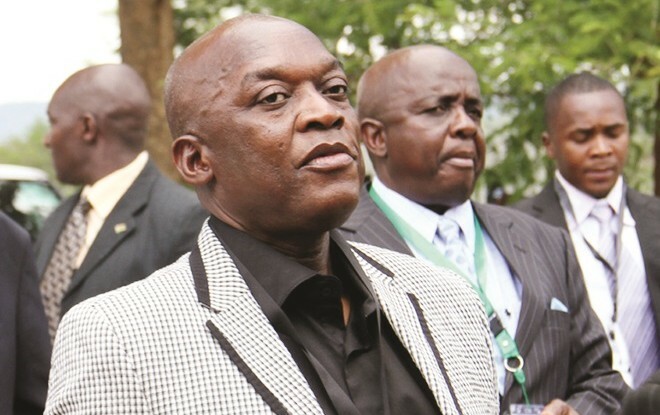 Sources close to Chihuri's family who spoke to the Daily News on Sunday claimed the former police chief was being nursed in his in-laws' home country - Malawi amid speculation that he is not feeling well. "I want to assure you that man is in Malawi as has been confirmed by some of his relatives. You must know by now that not of all of your relatives will be loyal to you, some will sell you out. The person who confided in us assured us that he was being treated in Malawi, his wife's home country," said a source. "Of course, soon after the new dispensation was established just like all the other politicians linked to the Generation 40 faction he flew to South Africa but not for long because he needed a stable home where he could lay recovering." Another source said: "Chihuri is aware that there are a lot of people baying for his blood and I doubt that he will return anytime soon. You know that his wife is of Malawian origin and recently he has moved there where he is being treated." Because of attorney-client privileges, Chihuri's lawyers - Mutamangira and Associates - who are probably the closest anyone could get in finding out the former police boss' whereabouts, refused to discuss their client's "hideout". "We cannot comment to the media on his issues as you know we are bound by confidentiality in our attorney-client relationship with him," a representative of the law firm told the Daily News on Sunday. Soon after President Emmerson Mnangagwa's inauguration, Chihuri was sent on leave pending retirement. Unlike other former police chiefs such as Henry Mukurazhizha and Wiridzayi Nguruve who retired quietly, Chihuri has been bombarded with a catalogue of lawsuits and police are baying for his apprehension for justice to prevail. Among court cases raised against Chihuri is a maintenance suit in which a Bulawayo woman Sithulisiwe Mthimukulu, a police officer, is seeking an order to compel him to settle $240 000 arrears for child support. In February, Harare businessman Bigboy Pachirera sued Chihuri for $2 968 000 damages for losses he incurred to his business after the 65-year-old allegedly took forceful possession of his posh cars, construction vehicles and a house before changing ownership of the property into his name. Pachirera has also filed criminal charges of kidnapping and robbery allegedly perpetrated against him under the instructions of the former police boss. He is currently also wanted to explain before Parliament allegations of how he instructed his subordinates to seize a vault containing diamonds worth millions of dollars belonging to a company that was in partnership with the cops in a mining venture in the controversial Marange diamond fields. It is being alleged that the law enforcement agents, under his instructions, forcibly took the gems. His successor, Matanga, has professed ignorance on his predecessor's whereabouts and told a parliamentary committee seized with the diamonds issue that he escalated his efforts to the permanent secretary in the ministry of Home Affairs Melusi Machiya but their joint efforts could not yield any positive result. "I communicated with the permanent secretary about that and as of now, I have not been able to locate him," he said. "Honourable chair, it is my responsibility to advise you of the whereabouts of former commissioner-general Chihuri. I am in the process of locating all the individuals concerned. We need them to prepare themselves for this meeting. With your indulgence, I was going to say if we could be given another date for them to come," said Matanga. "I would be very unfair on my part to say the commissioner-general does not know who lives where . . . It is really my responsibility. Given enough time, I will come to this House and say . . . Chihuri is at house number so and so or he is not at his house. So I will do that," he added.